This exhibition will be opened by Tanya Kiang, curator and director at Gallery of Photography, Dublin. 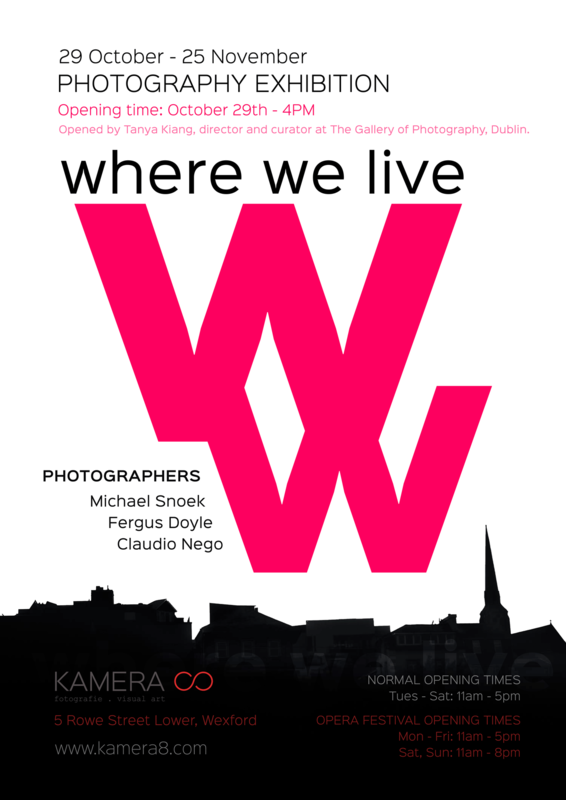 KAMERA ∞ is a new and exciting gallery in Wexford Town dedicated to photography but also showing selected artists working in different media.We would be very happy if You include this invitation in Your event guide. Copyright © 2017 - 2019 | KAMERA∞ | All Rights Reserved.